Mad in the USA! Firetainment fire tables combine utility of a grill, the entertaining space of a table and the mesmerizing charm of a fire pit. 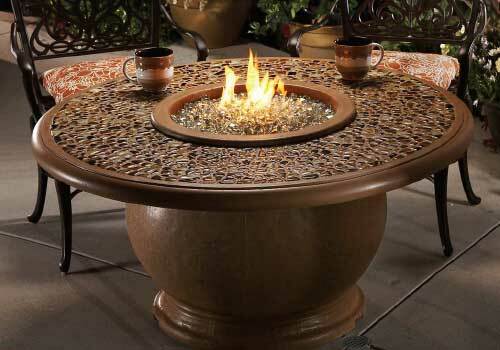 Exterior Escapes fire tables are the perfect centerpiece to your outdoor living space. 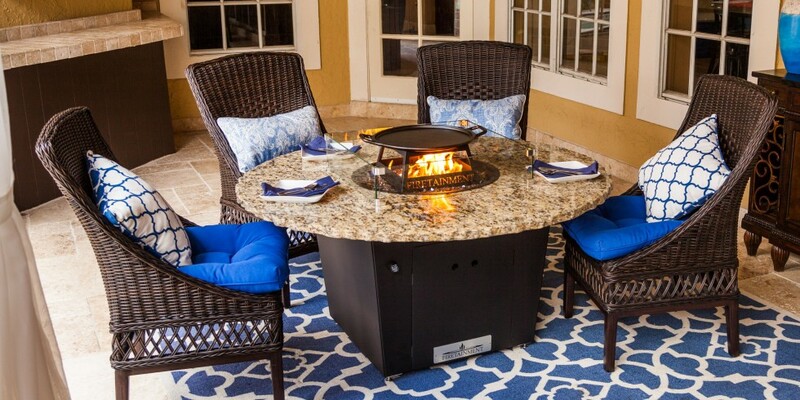 All of our fire tables are made of extremely durable, heavy gauge steel and are protected against rust with a beautiful two tone powder coat finish. 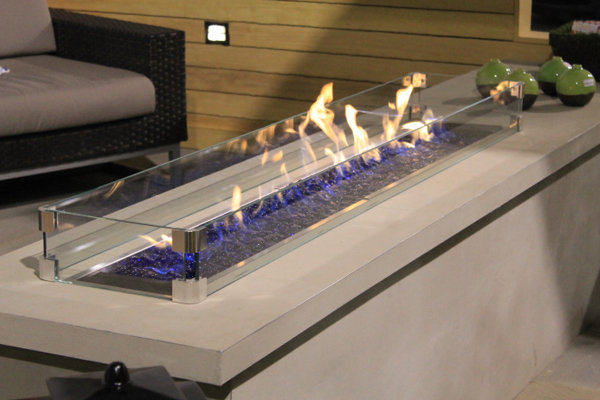 American Fyre Designs is a complete line of uniquely-designed and handcrafted exterior fire features including fireplaces, fire tables, fire urns, fire pits, fire walls and barbecue islands made from durable glass reinforced concrete . Breeo Industries LLC is an American Made company from Holmes County, Ohio that manufacturers the worlds only smokeless wood fire pits. 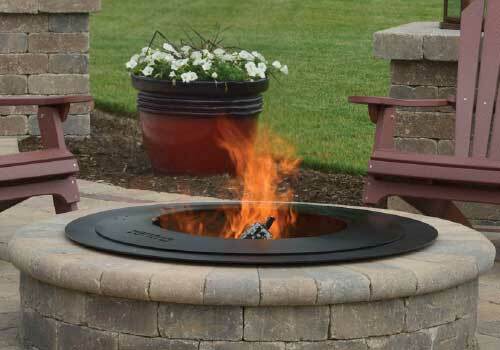 All products are handcrafted in the Amish and Plain communities of Holmes County, Ohio and Lancaster, PA.
One of a kind Wine Barrel Fire Pits made in California. No two are the same. Elegant with a powerful burner. Home of the Crossfire Brass Burner. Made in the USA with an innovative technology that produces a taller, brighter flame while using half the fuel of conventional gas fire rings.